The bulkhead connector block is a screw-in part that is inserted under the drysuit inflator valve. There is no need to cut another hole in the drysuit when installing the Q-Vest. 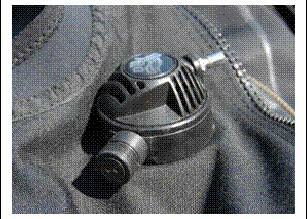 The profile of the drysuit inflator is raised by 3/4“ to accommodate the wet socket of the connector. 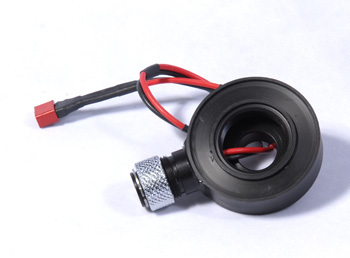 There are two sizes of the bulkhead connector 33mm thread diameter fits Scitech inflator valves and 36mm thread diameter fits Apeks/DUI valves. Measure diameter of your valve thread before ordering. 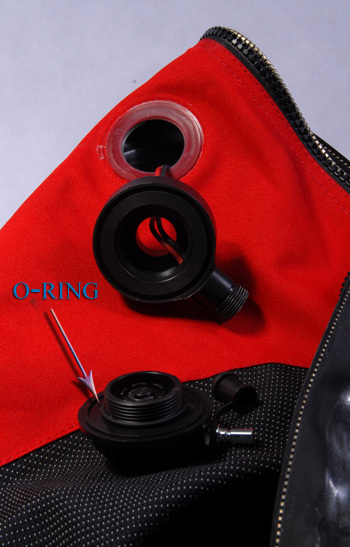 Available is also a combined inflator/bulkhead connector which comepletely replaces the drysuit valve (see manual for details).